Pedigree or Motivated Outsiders - Who Makes the Best Money Managers?Pedigree or Motivated Outsiders - Who Makes the Best Money Managers? Carl Icahn has clearly done enormously well over the years in compounding capital through his highly aggressive, activist approach to investing. He is not shy about expressing his opinions, sometimes in a Trumpesque manner, to call out underperforming management teams, changes he thinks they should make to increase returns to shareholders and the performance of the business, and to get more involved to either make changes and/or hold management teams more accountable. Icahn absolutely despises the cozy, old boy network that rewards pedigree, connections, and political skills over competence and effectiveness. He has said he first saw this in action when he was at Princeton and observed who would become the leaders of the eating clubs and fraternities. Inevitably, the most popular, blue-blooded guys became the leaders not because of their abilities but because of their background and popularity. They would then surround themselves with other mediocre people, rather than the best and the brightest. They did not want to run the risk of having someone more talented than they in their inner circle for fear that they would have to work harder, their incompetence would show through, or lose their position to someone better suited for the job. There was an attitude of getting along and go along and a hierarchy of blue-bloods who were deemed worthy leaders based on who they were and where they came from versus what they have done or their innate abilities. My sense is that being Jewish at Princeton in the 1950s and coming from Queens had a big impact on Icahn feeling somewhat as an outsider as I would imagine he experienced some forms of discrimination during his time there. On the other hand, I think this just fed his street fighting, “me against the world” way of seeing the world and has stayed with him ever since. He clearly despises entitled, lazy, over-compensated management teams that put their lifestyles first over what is right for the business and shareholders. It’s a powerful psychological trigger for him that harkens back to his Princeton days. He thinks it’s not only wrong for the companies and shareholders, but for the United States as well. He believes those well-run companies that prudently allocate capital, versus those with management teams seeking to create empires, improve productivity, circulate capital efficiently, and enhance living standards. It truly is a crusade for him to rid Corporate America of ineffective, overpaid management teams. Carl Icahn has clearly used his outsider status and the innate feeling of being one to inspire, motivate, and enable him to have the courage to take positions in companies he thinks are underperforming and to aggressively seek to effect change regardless of what people think. Inertia is a powerful force for inaction and action. A body at rest tends to stay at rest until acted on by an outside force. 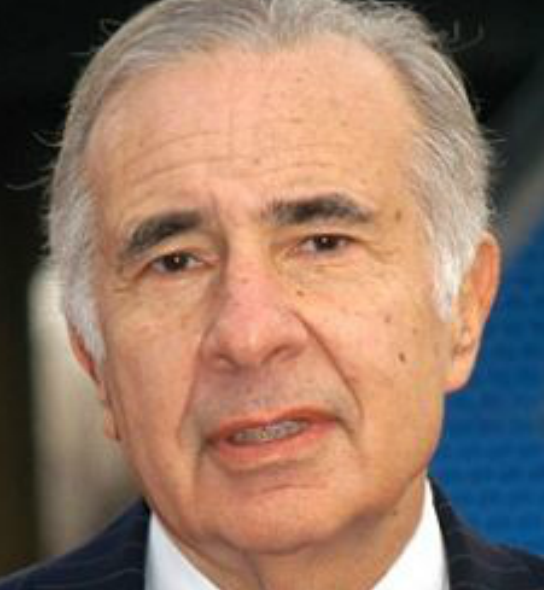 Icahn has clearly been that outside force and he and his investors have prospered immensely over the years as well as many of the shareholders in the companies in which he has taken positions. The researchers note that they chose to study mutual fund managers because they often work independently, and because funds’ performance can easily be measured for comparison purposes. But they say their findings about family background and job performance may have implications that extend beyond asset management. 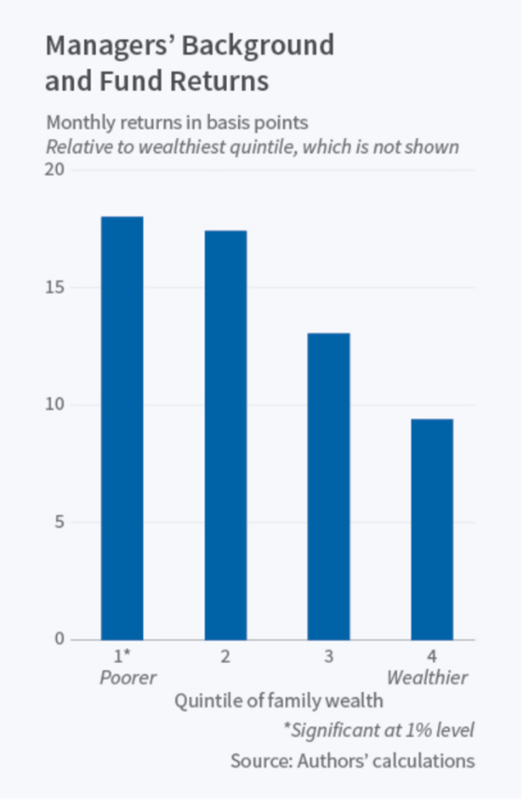 “Our evidence suggests that an individual’s social status at birth may serve as an important signal of quality in other industries with high barriers to entry, such as corporate management or professional services,” they conclude. Clearly, Icahn has been onto something. Getting to the top of a large, publicly traded company is pretty rarefied air and would definitely be classified as having high barriers to entry. Icahn has been asserting that many CEOs of these companies are akin to the underperforming, silver spooned mutual fund managers. It takes aggressive, competent, hard working, independent thinking. and thick skinned people to make the hard decisions to drive change and often these must come from the outside as they are more hungry and care far less about being popular. They are not trying to protect something. Rather, they want to grow and be the best. It’s akin to rags to riches to rags. The first generation creates the wealth and future generations tend to try to protect it because they live off of it or they squander it because they think they have the grit and entrepreneurial talents of the first generation which are often not the case. 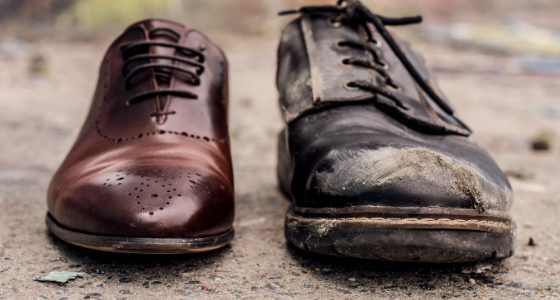 The next time you meet with prospective money managers it might be good to learn more about their socioeconomic status when growing up. What has been your experience? Do you believe in inertia or outsiders? Gary, I support your thesis…and…Icahn is far from someone to look up to as a corporate leader. His style may get the top working but his impact on the well being of rank and file is far from the respect that CWS shows for team members.